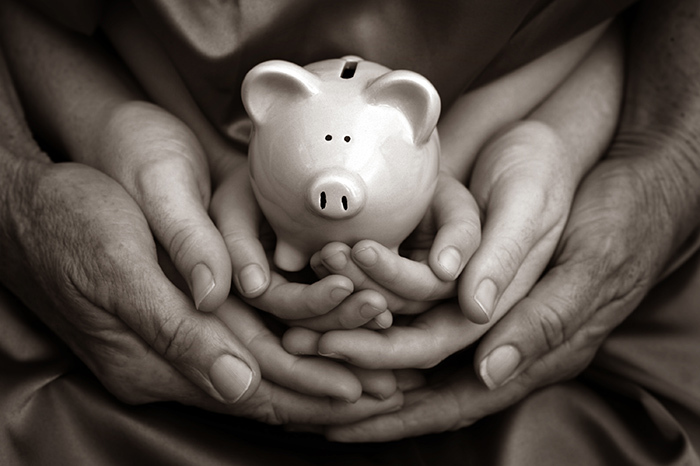 KidStart Magazine > Saving Tips > Household savings > How does the budget affect your family? Yesterday’s budget was the most closely leaked and scrutinised for years – probably because most of us are forced into taking far more interest in our own family budgets than we’d like to at the moment. So, how was it for you? The good news is that child benefit emerged virtually unscathed for all but the highest earners and the chancellor got rid of the anomaly that anyone earning over £42,475 lost out at the expense of families with just one huge earner. The personal income tax threshold for lower earners went up quite significantly from £7475 to £9205 which is good news for anyone working part time or clawing their way back to the workplace from benefit land. The bad news is that grandparents got hit with an unexpected and rather brutal tax hit with tax allowances for new pensioners scrapped. The traditional tax hikes to booze fags and fuel were all there – but look on the bright side – if you gave up smoking last night you’ve already saved 37p on a packet of 20, and if you don’t smoke then huzzah – put the money into a jam jar and breath a smug sigh of relief. If you’re planning a family celebration later this year get the fizz ordered before April 6 and you could save a packet – Majestic wine are doing some good deals at the moment, as are Tesco and Asda. Shop through KidStart to add extra savings for your children. And it looks as though I was right to look into car clubs earlier this year – nothing the government has up its pinstriped sleeve makes earning a car any more attractive with fuel duty going up by 3p a litre and road pricing just around the corner – so it’s boats and trains and the odd cab for me this year – I may even get a bike (check out Halfords via KidStart to get you started). For a closer look at how the budget affects you check out CIPD, Working Families and the Budget page of Directgov then forget all about it and start looking forward to the weekend – I’m planning a £39 escape to Pontins – I’ve spent more on pizza and pop at Legoland…. What do you think of the budget? Let us know.